GR: Many of the documents uncovered by the Poison Papers project have yet to be read. Here’s your chance to become an investigative reporter. Follow the link below to have direct access to the papers. 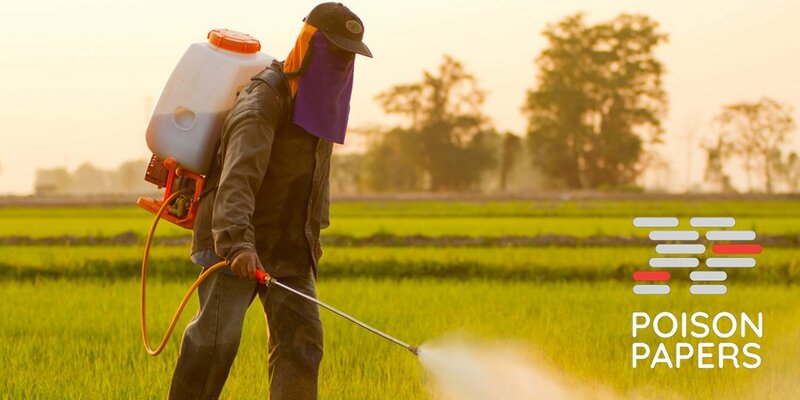 “The Poison Papers are a diverse set of internal memos, court depositions, and other documents detailing pesticide and chemical safety concerns of companies, government regulators, and their employees.” –PoisonPapers.Org. This entry was posted in Activism, Herbicides, Pesticides and tagged activism, chemicals, Human Impact, monsanto, pesticides, toxic-chemicals by GarryRogers. Bookmark the permalink. GREAT post. I hope people use this important resource to spread some actual facts instead of mindlessly ingesting the poisonous kool-aid so many consume. Yes, I remember reading about that interview. It can be extremely difficult to pay attention to what’s going on around us and stay hopeful. I don’t want to sound negative or give the impression that I’m willing to give up fighting against the evil permeating modern society, but when you see what corporate executives of firms like Monsanto, Dow Chemical and Dupont Pioneer get away with on a regular basis it can cause serious mental anguish. They not only dump horribly dangerous chemicals down our throats and in our water and soil, they make billions of dollars a year doing it. And even get tax breaks. We pay on all levels. How there can be people who either don’t know these things or don’t care is astonishing to me. We need to continue educating the population at least until the day comes when enough people understand the consequences of allowing industry to regulate itself. I thank you for all you do in that endeavor.